People who knowingly send a text message to someone behind the wheel risk being held liable in text-related car accidents, a New Jersey state appeals court ruled. 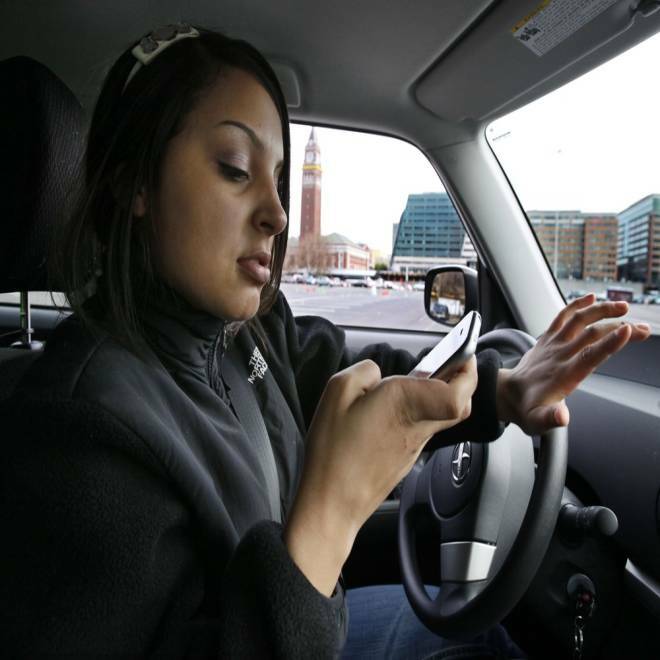 Texting a driver in New Jersey could put you in the fast lane to liability. A state appeals court has ruled that third-party texters could bear responsibility in texting-related automobile accidents. The opinion was released Tuesday, in response to a claim against a 17-year-old girl who sent a text message to 18-year-old Kyle Best before his pickup truck veered out of its lane, hitting a husband and wife on their motorcycle. The claim was dismissed by the court, but prompted the three appellate judges who heard the case to define the liability of third-party texters. According to the court, the couple, David and Linda Kubert -- who each lost a leg in the accident -- did not present enough evidence against the girl for the claim, but ruled in its opinion that in the state of New Jersey, third-party texters could be held liable if they knew that the person they were texting is behind the wheel. "The key here is that it’s the first time in the nation that any court has held that somebody can be electronically present, although not physically present, in a vehicle with knowledge that the other person is operating a motored vehicle and the two texting can be civilly responsible for damages that occur as result," said attorney Stephen "Skippy" Weinstein, who represented the Kuberts. The opinion read, that,"when a texter knows or has special reason to know that the intended recipient is driving and is likely to read the text message while driving," the opinion said, "the texter has a duty to users of the public roads to refrain from sending the driver a text at that time." However, the court said, generally, "we do not hold that someone who texts to a person driving is liable for that person's negligent actions." Weinstein said the Kuberts are considering an appeal of the decision to the state supreme court. It is not clear as to whether or not the new standard of third-party texting will be upheld by other state appellate divisions and the state supreme court. Weinstein said the opinion "sets a precedent. Not only will this be followed in New Jersey, but I suggest that because the New Jersey courts are held in such high esteem, they will be following this throughout the nation," he said. In June, New Jersey lawmakers introduced a bill that would require drivers in a car accident to hand over their phones to police without a warrant, under the pretense that checking the phone may establish whether or not it was in use during the accident. The bill sparked concern that if legislators pass one law allowing the government to infringe on the right to privacy, that there will be no limit on taking away civilian rights. The bill remains in committee. According to the Department of Law and Public Safety’s most recent annual report, there were approximately 10,000 motor vehicle crashes attributed to cell-phone use in New Jersey from 2008-2010. The Garden State is one of 12 states that prohibit talking on a cell phone unless the driver is using a hands-free device.